Early morning clouds gave way to bright sunshine on Oct. 26, 2017, as the Seventh-day Adventist Church in North America (NAD) welcomed guests to the grand opening celebration and ribbon cutting ceremony at its new headquarters in Columbia, Maryland. “This is our home ... we are delighted you are here,” welcomed Daniel R. Jackson, current NAD president. Jackson described the purpose of the headquarters, saying, “This building does not stand for human progress, for human ingenuity. It stands to serve the purposes of the almighty God." The ribbon cutting ceremony was held at the main entrance of the headquarters. 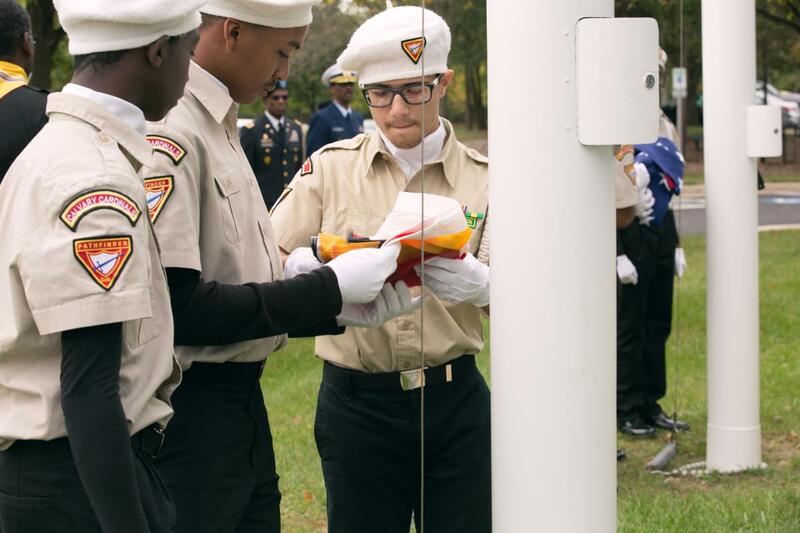 It included prayer by former NAD president Don C. Schneider, acknowledgments, a presentation of the state flag from the Maryland Secretary of State John Wobensmith, and the raising of the flags with the Allegheny East Conference Drum Corps (pictured) and the Beltsville Seventh-day Adventist Church Pathfinder Flag Bearers. Once the ribbon was cut by NAD officers and select officials and guests with commemorative scissors, the crowd streamed through the lobby to the building’s main auditorium and overflow room. Jackson welcomed the congregation to the dedication portion of the event. Highlights of the program included remarks by Dave Weigley (pictured), president of the Columbia Union Conference (the Adventist church’s mid-Atlantic region); invocation by G. Thomas Evans, NAD treasurer; a special recognition segment by a G. Alexander Bryant, NAD executive secretary; and dedicatory remarks by Jackson. 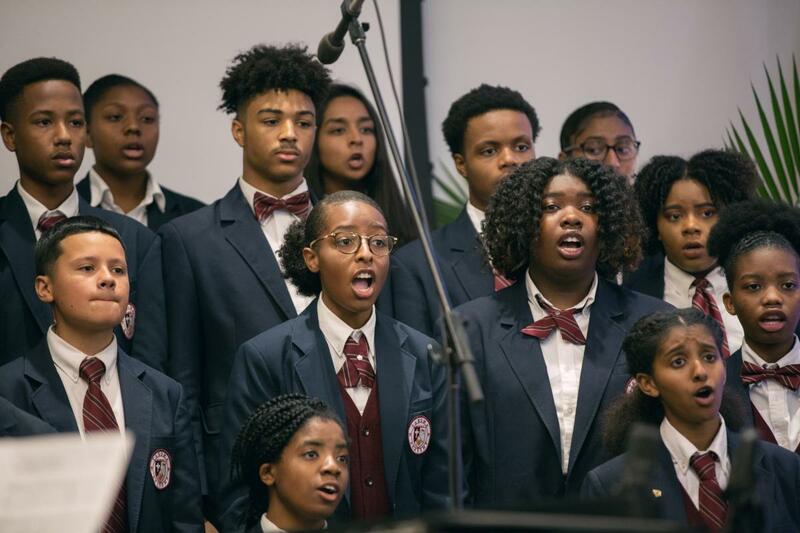 The Takoma Academy choir (pictured) and a Spencerville Adventist Academy musical ensemble performed during the dedication. Adventist pastor and recording artist Wintley Phipps, who has performed for several U.S. presidents and numerous dignitaries during his career, sang “Amazing Grace.” Three video presentations were viewed, including a greeting and prayer from Ted N.C. Wilson, General Conference (Adventist world church) president, a historical perspective with NAD timeline, and a pictorial perspective of the building’s renovation process. 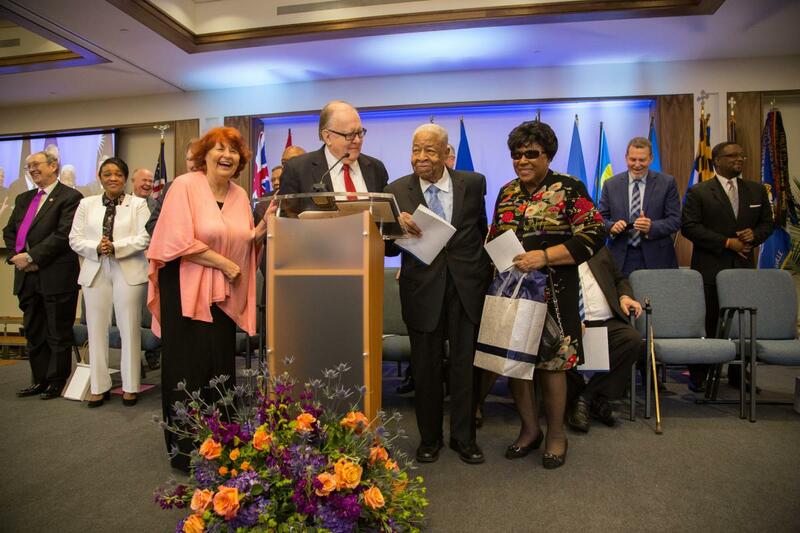 Before Artur Stele, a general vice president of the General Conference, offered the dedication prayer, the NAD officers lead the congregation in a litany of scriptural passages as selected by Shirley Burton, a former communication director for the NAD. Honored guests included Charles E. Bradford, former NAD president; Schneider; George H. Crumley, former NAD treasurer; Juan R. Prestol-Puesán, former NAD treasurer and current GC treasurer; Scott McClure, son of Alfred C. McClure, former NAD president who passed away in 2006); and Bonita Rodriguez, daughter of Barbara and Robert L. Dale, former NAD secretary. During the evening, Sarbanes shared his engagement with Adventist entities. 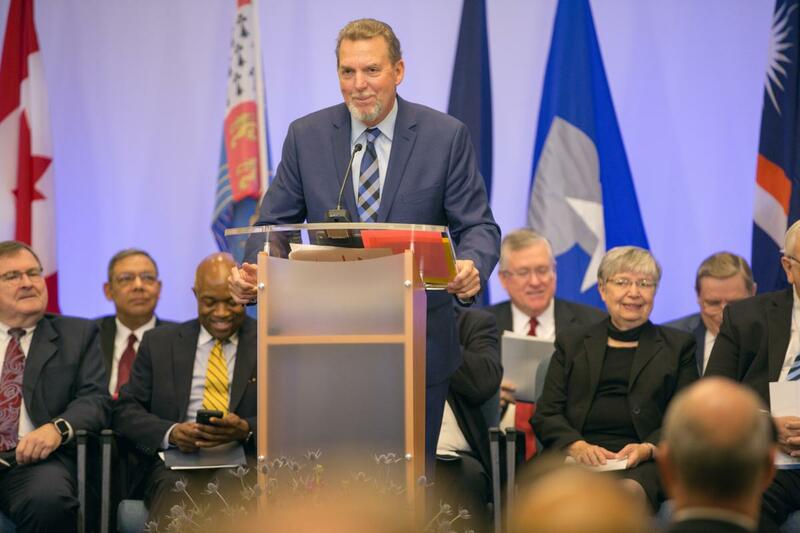 “When I was a lawyer I represented a number of [Adventist] health care organizations across [the country],” said Sarbanes, whose district includes both the church’s world headquarters in Silver Spring, Maryland, and the new NAD headquarters. Click here to watch the entire live stream broadcast. — Kimberly Luste Maran is assistant director of Communication for the North American Division.